The 45 condominium homes at SOLIS will range in size from 445 to 878 square feet. Occupancy is expected by early 2020 at SOLIS, a 45-unit, eco-friendly condo community that is set to break ground in Seattle’s Capitol Hill neighborhood. 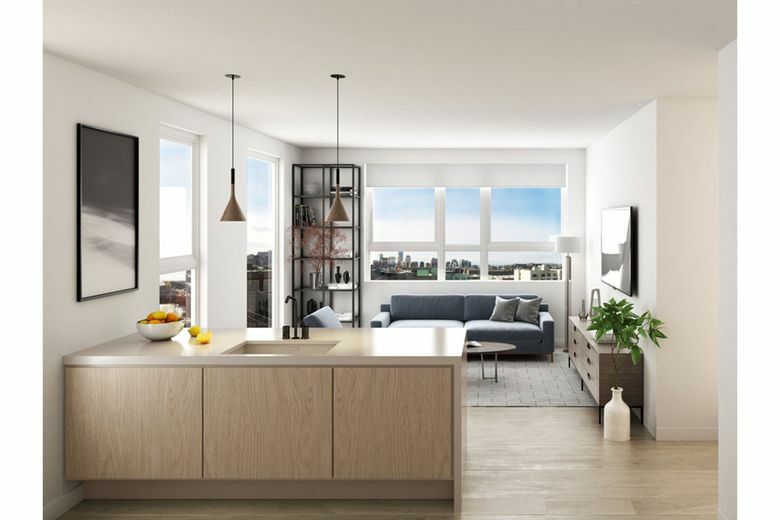 SEATTLE — For the first time in a decade, new luxury condominiums are being presold in the Pike/Pine neighborhood of Seattle’s Capitol Hill. SOLIS is a 45-unit, eco-friendly condo community that is set to break ground at 13th Avenue and Pike Street in October, with occupancy expected by early 2020. The developer, SolTerra, is offering individual unit reservations beginning Sept. 15 at 11 a.m.
A reservation is an agreement that identifies a unit within a set price range and a fully-refundable deposit of $5,000 that is held in escrow. Over the coming weeks, the developer will finalize the floor plans, specifications and construction pricing to arrive at an offering to the reservation holder to elect to move forward with the purchase, or cancel and be refunded the deposit. Reservations are also accepted in second priority in the event a preferred home is already reserved, and because not all first-priority reservations will move forward, Janssens says. Janssens recommends prospective buyers arrive early on Sept. 15 at the SOLIS preview center, located at 1300 E. Pike St., to ensure the best selection. The building, formally the Fran’s Chocolate headquarters, will be demolished shortly after hosting the property preview and reservation events, as groundbreaking is slated for next month. 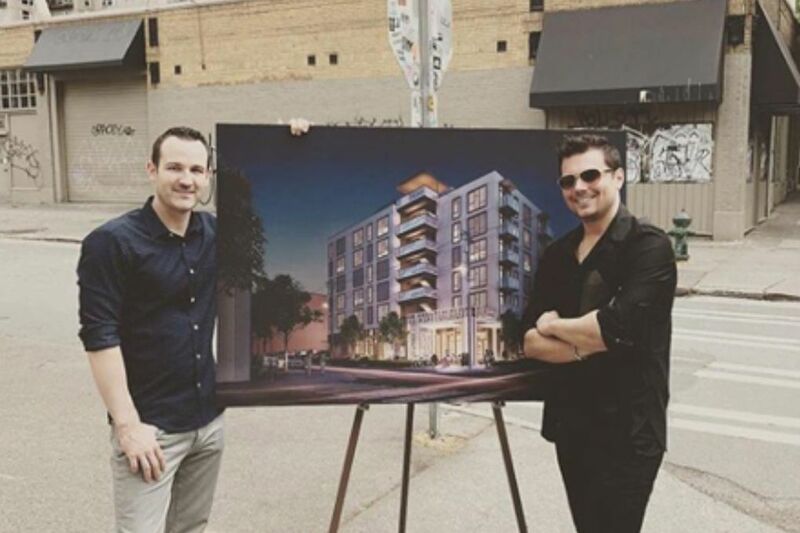 SolTerra principals Marc Coluccio (left) and Brian Heather stand in front of the future site of SOLIS at 13th Avenue and Pike Street on Capitol Hill. Janssens says SOLIS is targeted to be Seattle’s first “passive house” condominium building for sale, featuring the highest energy efficiency and improved quality of light and air. The ergonomically designed studios, open one-bedrooms, one-bedrooms and two-bedrooms will range in size from 445 to 878 square feet, and will be priced from the mid-$400,000s to the high $900,000s. Interiors include voluminous 9-foot ceilings, oversize windows and engineered hardwood floors. European-inspired kitchens will feature wood cabinets, gas cooking, quartz countertops and luxury plumbing fixtures. A rooftop retreat will have an outdoor lounge, barbecue area, fire pit, dog run and views of downtown Seattle. It all takes shape in the heart of Capitol Hill and within walking distance to eclectic eateries, bars, nightclubs and residential conveniences. Homeowners will appreciate the independence from driving, as urban amenities and job centers are just a stroll away, along with the Capitol Hill light-rail station.